People don't give presents for Thanksgiving. I guess that is because we are typically focusing more on what we have already received instead of what we are going to receive. But I'm going to change things up a bit and give a little present to my newsletter subscribers anyway! 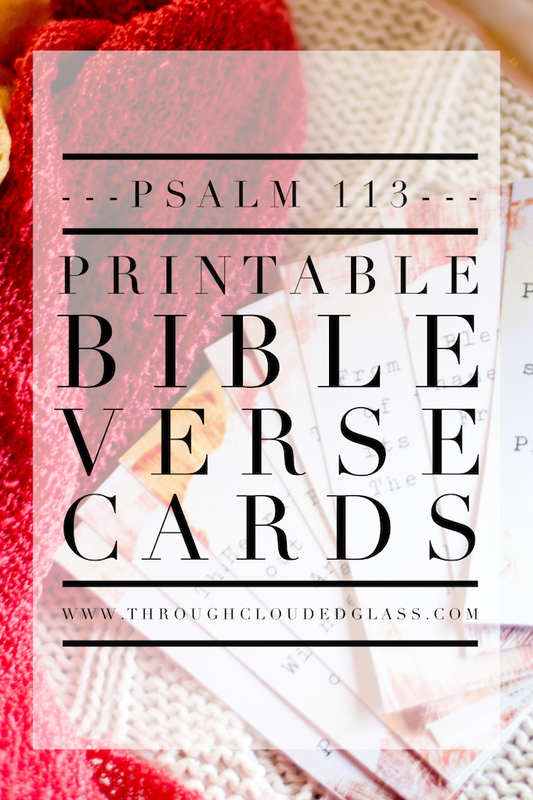 I have been wanting to memorize more Bible verses (though it's been challenging to follow through with how busy things have been the last couple months! 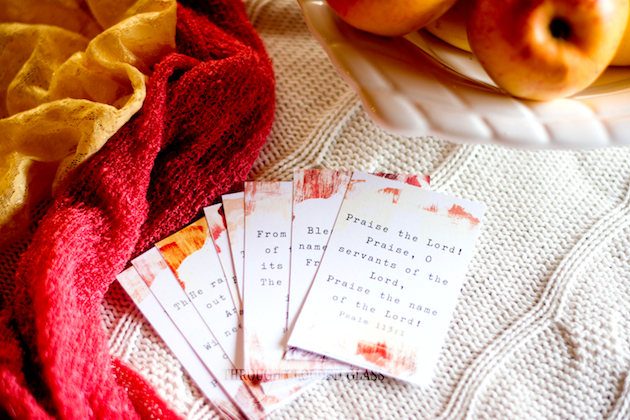 ), and I think it is so much easier to memorize verses if they are printed in a pretty way. Psalm 113, is a Psalm that I have been wanting to memorize in full. This Psalm speaks to the power and provision of God, and it has been one that I have clung to when life has been unpredictable. I don't know where Thanksgiving will find you this year, whether you are in a time of abundant blessings and have a heart of joy, or whether the unimaginable is happening to you and your heart is full of pain. These are verses that have given me hope through difficult seasons. Our God has the power to perform miracles. But even when life is heartbreaking, and nothing is changing, Jesus has already brought us up from "the ash heap" by dying to save us, and promising us Heaven when we believe in Him. This Psalm is still like a balm to my soul when life gets hard. It reminds me of His power and provision, not merely for life here, which will never be what it should be until He returns, but for my eternity. When I remember all He has done, it's hard not to give thanks. I hope that no matter where you might find yourself, you find these verses as encouraging as I have. 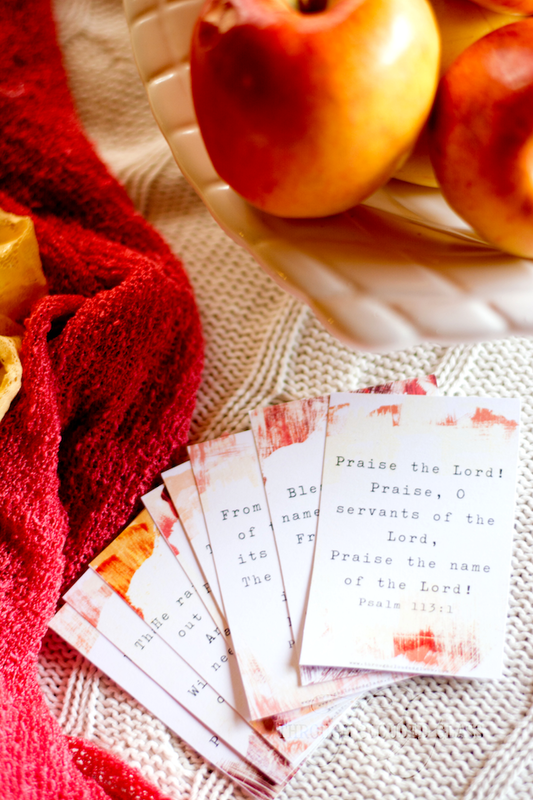 To get these printables for free, sign up for my newsletter with the form below, or by clicking here! How Do You Hold On To The Moments?